Should one limb start failing to work, the result can be frightening and frustrating. Although few people are aware of this syndrome, functional weakness is common among people of all ages and physical abilities. Here’s what you need to know about the syndrome, its symptoms, and how it can be treated. 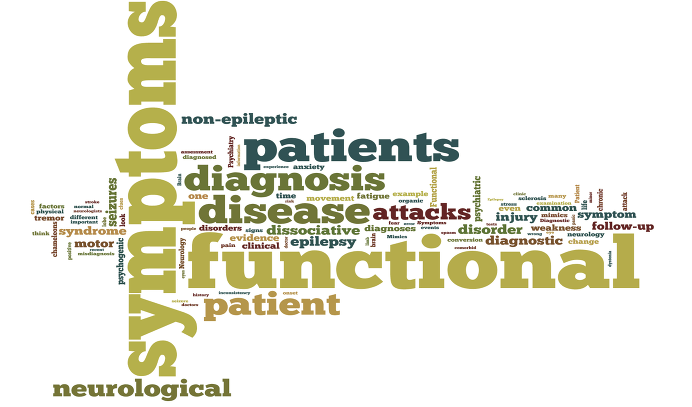 What is functional weakness syndrome? Functional weakness syndrome is a result of the nervous system failing to work as it should. Unlike other illnesses which cause weakness in the limbs, there’s no disease or permanent damage to the nervous system at the onset of this syndrome. Much of the time, the symptoms will appear inexplicable and their occurrence will happen at random. Around 10% to 30% of patients who are referred to neurologists show signs for which there is no hard pathophysiological reason, according to the Journal of Neurology, Neurosurgery, and Psychiatry. The main characteristics of functional weakness syndrome are that there are physiological symptoms which seem to have a neurological root. Often enough, it is thought that these signs are a physical manifestation of stress or other mental ailments. While the symptoms may mimic that of multiple sclerosis or the aftermath of a stroke, they will have nothing to do with physical diseases or illnesses. Currently, more research must be done to fully comprehend the cause of this relatively common problem. Often enough, patients will find that they start to experience bouts of clumsiness. They may drop things on a regular basis or, indeed, find it particularly hard to gain a substantial grip on railings and handles. The ‘heavy’ feeling that accompanies functional weakness syndrome is often described as a dull ache. It usually only affects one side of the patient’s body, which is why it’s so often misdiagnosed as the remnants of a stroke. This particular sensation will often cause the patient to fatigue and need more rest than is usual for them. There are two major ways in which this symptom manifests. Either there will be a weakness that takes over one limb or patients will experience a feeling of disconnect from their limbs. In the case of the former, it will be difficult to walk and move about as one normally would on a daily basis. In the case of the latter, the patient may start to believe that their limb is not part of their body. If a patient is experiencing limb disassociation or weakness, it is crucial that they get extra support in this area. One course of action may be to refit their home with support systems and mobility aids. They may install one of the top rated bath steps in the bathroom or a railing to help them climb the stairs. These home improvements will prevent the patient from putting unnecessary strain on their muscles and limbs. It is highly common for patients to experience feelings of depression or low moods when they are suffering from functional weakness syndrome. Should this be the case, they may be referred to a psychologist or counselor to help them manage their mental state. A course of cognitive behavioral therapy sessions may also be recommended. The aim of this treatment will be to gradually restore the nervous system function. For that reason, the patient may be advised to take up a slow course of activity. For example, they may start practicing yoga or embark on an exercise plan. In doing so, the strength of the muscles can be built up slowly and in a secure manner. Of course, a sign of this syndrome is often great pain and discomfort. Pain relief treatments may include over-the-counter or prescribed medication. The prescribing physician will determine which course of action is most beneficial on a case by case basis. The above recommendations serve only as guidelines to further the understanding of this syndrome. Should a patient believe that they are affected by this ailment, they must see a medical expert as soon as possible. These signs may also be connected to a more serious physiological disorder so self-diagnosis is not recommended here.